The Pygmy Hippopotamus differs from most peoples mental image of a Hippopotamus as the Pygmy Hippopotamus is tiny in comparison. 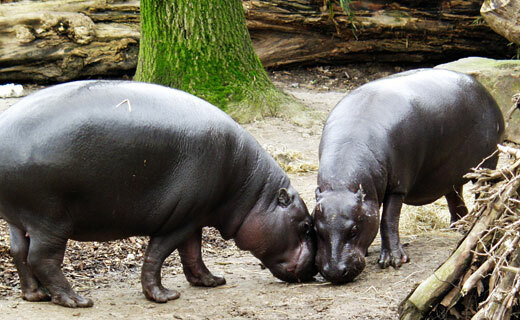 These unique hippos are exclusive to Africa and can be found in small populations cut off from each other. There is estimated to be around 2 – 3000 Pygmy Hippopotamus’s left in the world wit the species declining at a rapid rate and the Nigerian population believed to have no become completely extinct. For these reasons the Pygmy Hippopotamus is currently classed as endangered and numerous conservation acts are in place to try and help the population grow, however the continuous expanse on humans is putting strain on the Pygmy Hippopotamus’s and their habitat. The Pygmy Hippopotamus’s closest living relative, and that of all hippos is actually the whale which explains the Pygmy Hippopotamus’s natural affinity for wet environments and its choice habitat of swamps and wet forest land close to streams and rivers. Although the Pygmy Hippopotamus is smaller than other Hippopotamus its physical characteristics are largely the same boasting a a short heavy built body with a wide face and massive mouth. The Pygmy Hippopotamus does differ in some subtle physical attributes however such as the gray/green skin color, rounded head and side set eyes and unlike other hippos the Pygmy Hippopotamus have well defined and separated toes rather than webbed feet. Its teeth, specifically canines and incisors are tusk like and grow at a fast rate. The Pygmy Hippopotamus has large round ears and shares the traits of excreting oil from its pores to keep it moist in the heat and adapted nostrils that can be closed underwater with other more common hippo species. Pygmy Hippopotamus are vegetarians and feed on leaves, plants and fresh shoots when traveling the undergrowth in the late evening and night time. As the Pygmy Hippopotamus’s are nocturnal they spend their days like most other hippos resting and cooling down in water and mud. Although Pygmy Hippopotamus’s are not a territorial species they do tend to live isolated lives, only coming together to breed which can take place seemingly at any time of the year. 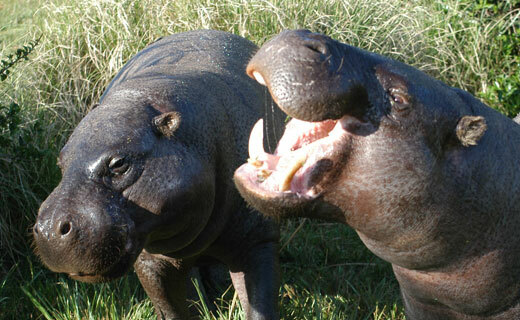 Pygmy hippos are thought to live for around 40 years although there is no clear information to back this up. 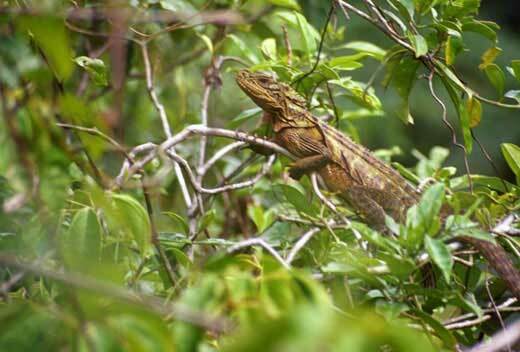 Sexual maturity is reached around the age of 4 or 5 with females generally giving birth to one offspring at a time. what temperature do you keep the hippos at?